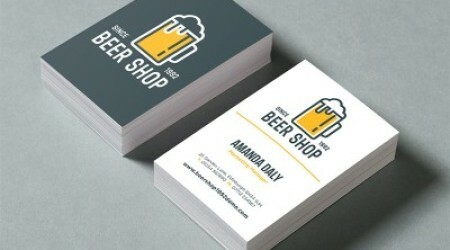 For a professional look and feel to your organisation, we have a choice of matt laminated, or uncoated business cards. Business cards are essential for making a great first impression. 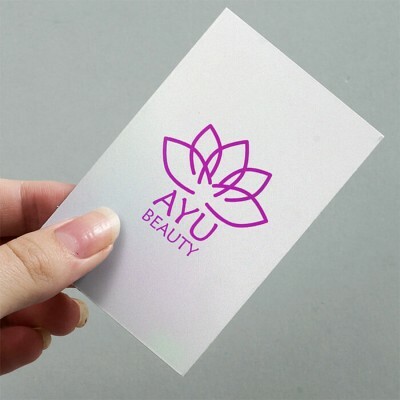 Our range of premium business card printing contains a variety of materials and creative finishes, so you can create a business card as unique as your client. 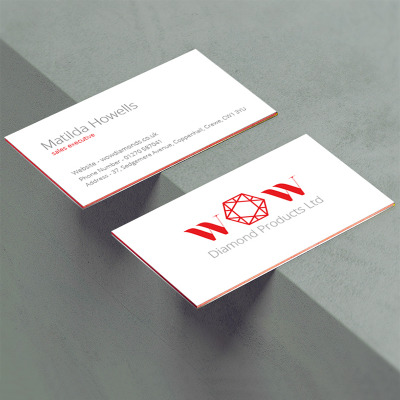 For those clients looking to make a bold statement, offer Triplex business cards. These are the most luxurious business cards around, with a super thick card encasing a colour core centre for an extra edge. 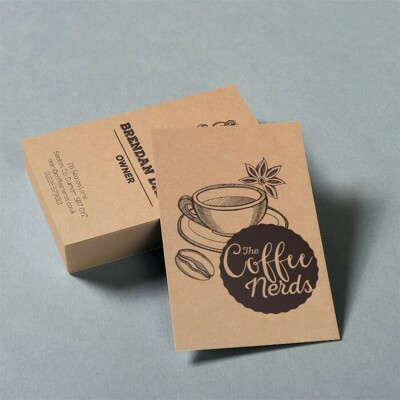 For a rustic look, try our eco-friendly 350gsm Brown Kraft paper business cards. Printed on Brown Kraft paper that is naturally coloured using cocoa shells, these business cards give the perfect vintage finish. Kraft is the ideal choice for cool, artisan businesses, and minimalist designs with black ink. These cards can be written on, ideal for leaving a personalised message for the recipient.